What is the current state of the American Motel industry, and how good of an investment is it to buy one? Find out here. That last stat is especially important considering the significant hit the hospitality industry took during the Great Recession. Particularly between 2008 and 2011, leisure and business travel were both sacrificed in favor of belt tightening across the entire country and many hotel and motel owners struggled to survive. So, from the 30,000-foot perspective, now is an excellent time to consider buying a hotel, buying a B&B, or in some other way investing in America’s hospitality industry. Let’s drill down a little deeper into motels in particular, which make up a portion of this growing industry. There are many similarities between motels and types of accommodations, and many industry trends will affect motels just as they do hotels, resorts, and others. But, there are also significant differences that make buying a motel and running it successfully a unique challenge and opportunity for interested entrepreneurs. To be clear, a motel — the word is derived from the term “motor hotel” — generally refers to a small lodging facility that caters especially to drivers who are in the midst of a long journey and just need a place to sleep for the night. As a result, amenities tend to be fairly limited, price is usually pretty low, and the property is usually easily accessible from a major interstate highway. 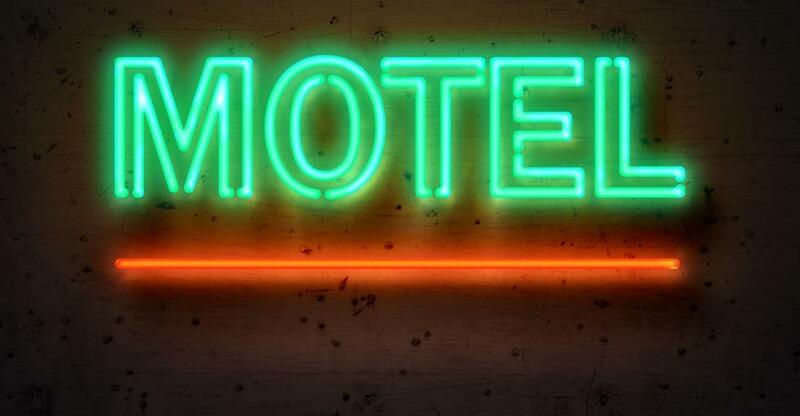 That being said, the term motel has been used loosely for decades to describe businesses that are really small hotels or provide extended-stay accommodations, so that definition can’t be taken as gospel. It is safe, however, to accept that a motel listed for sale is likely to cost far less than a hotel because the latter will almost always be much larger and include more amenities, luxury rooms and decor, food service options, and the like. What makes a motel successful? Success in running a motel is all about maintaining an adequate occupancy rate and positive cash flow. Nationally, the average occupancy rate for lodging facilities is approximately 62 percent (meaning just over six out of every 10 rooms available across the country are occupied by paying guests at any given time.) If your motel can maintain anything above the 60 percent occupancy rate with relative consistency, you should be able to make a healthy profit. Location - If your motel isn’t incredibly easy to get to from a major highway or busily traveled thoroughfare, (preferably within sight of an exit ramp, or no more than a mile away), you’re likely to lose potential customers to more convenient competition. Price - While average motel room rates vary widely based on location, there are definite limits beyond which the average traveler won’t even consider choosing your motel over cheaper alternatives. Find out what that limit is in your motel’s area and keep prices on par with, or below it. Clean, cozy comfort - As noted above, guests are unlikely to be staying for more than a day, so higher-end amenities like laundry services, extensive room service, jacuzzis and heated swimming pools are less important than they would be in a luxury hotel. Your rooms do need to be exquisitely clean and comfortable, however, and ideally eliminate any and all barriers to a restful and refreshing night’s sleep. With these basic factors under control, the successful motel owner needs to focus on sufficient signage and advertising, as well as a robust Internet presence. This includes updated online listings on all the major travel and lodging websites travelers commonly use to find a place to stay while they’re on the road. Beyond that, the successful motel owner and staff focus on providing excellent customer service throughout the guest’s entire brief stay, resolving problems quickly and courteously, and responding graciously if and when negative feedback arises. Doing so lessens the chances of destructive negative online guest reviews and instead encourages positive reviews, which can be the “holy grail” for motels in competitive locations. What should you look for in a motel for sale? Since the industry itself is in the midst of a solid growth phase and the barrier to entry is far lower for motel ownership than hotel or resort ownership, buying a motel is certainly a viable option for entrepreneurs currently on the lookout for a new business opportunity. But what should you look for when you’re reviewing a list of motels for sale? Basically, the key to choosing the best motel available is comparing the list of success factors above against each prospective motel’s current situation and recent past. Use that list list of success factors as a checklist. The more boxes you can tick off upfront, the easier and faster your road to success as owner of that motel is likely to be. Of course, obtaining reliable information on all those factors will require in-depth research and analysis of various business, legal, and financial records. Most prospective buyers find it saves both time and money to work with a team of advisors during this stage of the search, including a business broker, commercial real estate agent, attorney, and an accountant — all of whom have experience with the hospitality industry. What sort of online presence has it maintained? Have the current or previous owners consistently handled negative feedback professionally? Are the motel’s website and travel site profiles well-maintained and do they portray the motel in a positive and attractive light? If you can answer these questions positively, you’re likely going to be best off maintaining the motel’s name and other branding elements. You can even make it a point to learn from the current owners how to maintain those efforts. If you have to answer no to any or all of these questions, it doesn’t necessarily mean the motel is not worth buying. But it certainly will impact the overall value of the business as well as your own startup costs since you’ll want to change the motel’s name and update all branding to ensure you don’t continue suffering from the mistakes of previous owners. To summarize, the overall outlook for 2017 and beyond is positive for the hospitality industry. The American economy is at one of its strongest levels ever, which means that more American families have both the time and the money to travel. Of course, it also means that the hospitality industry will continue to grow more competitive as more entrepreneurs buy into it and large corporations continue to expand their established hotel and motel chains. Succeeding as a motel owner is a fairly straightforward process under these economic conditions. If you are interested in buying a motel, you’ll want to first make sure the location and condition of the premises are set up for success. Then, you’ll want to bring in experienced advisors to help you carry out your due diligence and make sure your checklist is filled out before completing a purchase. If you’d like to review the current list of motels for sale in the U.S. click the link below.